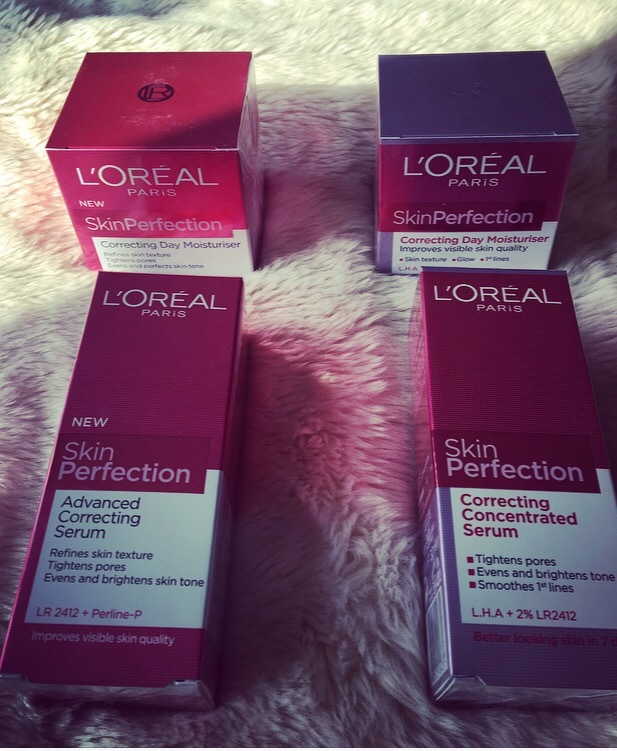 For the past year I have been loving the L’OREAL Skin Perfection range! With the L’OREAL facial moisturisers and skin care products they are all designed for different age groups. I am so sad that they have now stopped selling this range for the age 20-30s of all of a sudden! I used to be able to pop into Tesco or Boots and buy my face cream as soon as it run out! I have managed to find a website which sells the product, but I’m unsure if this is until limited stock lasts. I stocked up on a few packs! I buy two products which work so well together and make the skin on my face feel silky smooth! It has made me feel confident in wearing no foundation when leaving the house! It gives your face a nice glow. I apply this serum first before the correcting day moisturiser. I can not recommend it enough! LHA: an exfoliating patented active to help tighten the look of pores and reveal radiance day after day. LR2412: a powerful active from 10 years of research to enhance skins natural surface cell renewal and smooth the appearance of first lines. In 7 days pores look visibly tightened, 1st lines appear smoother and tone looks more even and radiant. The quality of your skin looks improved as if corrected. LHA: an exfoliating patented active to smooth the look of 1st lines and reveal radiance day after day. PERLINE P: an association of 3 perfecting actives which target pores, skin tone and skin texture. Instantly the skin is hydrated, feels softer and smoother. In 7 days skin texture looks refined, more radiant and the 1st lines look smoother. I’m hoping that this line has not been discontinued as is there is no other option from L’OREAL to purchase for the age range 20-30. This has been the only facial cream I have noticed a huge difference to my skin. It makes applying foundation and makeup so much easier.